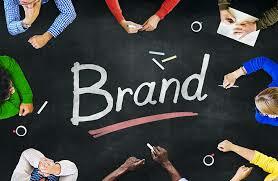 Home Business4Law Marketing Law Firms What Should Your Law Firm’s Brand Persona Be? One of the most important decisions you’ll make with your law firm’s social marketing is its brand persona. How will you present yourself to prospective clients? What language and attitude should you convey? We’ll walk you through that and more. If you’ve even read a little into online marketing, you’ve probably seen the words “brand persona” at least once. As you’ve no doubt surmised, it’s pretty much what’s written on the box. It’s the personality, attitude, and values your law firm displays when interacting with its clientele, both online and off. What you may not have gathered is what sort of brand persona you should be aiming for – because it is something you should be consciously aware of in your marketing efforts. First and foremost, professionalism is more important for legal organizations than businesses in any other industry. While you certainly can spin irreverence and humor into a successful marketing drive, you need to be careful not to take it too far. Your clients are coming to you for legal advice, so if they’ve even the barest hint that you’re not mature or collected enough, they may very well look elsewhere. It’s also important that you define your unique selling point – that you understand what makes your firm unique from its competitors. That’s going to be a significant foundation for your persona, along with your assets, the markets you target, past and present clients, and your core values. In short, your persona should be an amalgamation of everything that’s positive about your organization. Everything positive that you can deliver to clients, from your attributes to the attorneys who work with you to your legal knowledge and partnerships. And this persona needs to go beyond a few advertisements or visuals. The core values of your law firm should be present in everything you say and do online, from how you interact with your clientele to what sort of content you share with them. Sure, a good logo and an attractive website are vital – but so is attitude. For law firms especially, credibility is also key. There are a few ways you can establish it – third-party endorsements from clients and business partners are among the best. I’d also advise writing a few thought leadership pieces on social networks like LinkedIn, trying to place guest articles on respected law blogs, and regularly maintaining and updating a blog of your own. And that’s pretty much it. You need to present yourself as a leader. As someone who clients can trust and work with for their legal needs. As someone who cares about more than just winning a case. Just remember that this cannot be skin-deep. A successful brand person is more than a thought leadership piece on LinkedIn, a shared Facebook article, or a few tweets. The brand persona your firm presents to clients online should be exactly how your firm conducts itself in person. Otherwise, all the marketing in the world is little more than window dressing – you will ultimately be unable to attract or retain clients. Managing attorney at Bormaster Law. The law firm practices in a number of areas but specializes in 18 Wheeler Accidents, Accidents with Commercial Vehicles such as Work Trucks and Catastrophic Injuries of all kinds. They are trial lawyers who will work hard to try to solve your problem out of the Courtroom but who will proudly stand by your side in the Courtroom if justice so requires.